Can you believe I’m already saying the words “Back to School”? While it still may feel like summer to many of us, the truth is the best back to school deals can be found right now. In fact, I just saw a Facebook post from a friend whose kids started back to school yesterday. Although some of us start school before Labor Day and some start after, you’ll want to start stocking up on supplies and uniforms today, especially with the back to school denim deal I’m about to lay out for you below. And yes, I did say back to school and denim in the same sentence. I know not every student is allowed to wear denim at school, but for our kids that attend a public charter middle school, we just received the joyous news this week that denim will be part of their standard school attire this year! Let’s start with the oldest group of “kids” (can we still call them that? Probably not in front of our teens!). Starting today, there are 60 styles of the latest junior denim trends that are available for just $29.99, including plus size jeans, skinny jeans, high-waisted denim, embroidered denim and even colored denim. 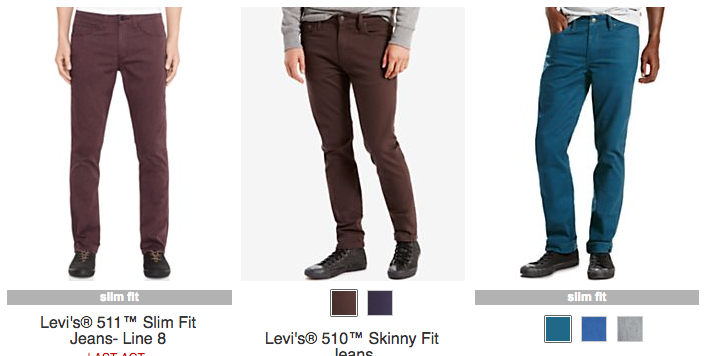 These Levi’s are $27.73 – $29.73, but because they are such a great deal, you cannot combine these jeans with any other promotions and there are limited sizes and colors left. If you have a little girl wearing size 2-16, you’re in luck, because there are 20 denim styles for under $30 right now, with some as low as $9.73. Again, with the two lowest price styles, additional coupons are not accepted. However, there are 18 girls’ denim styles ranging in price from $14.99 – $24.99 where you can take advantage of special back to school savings. There are 8 kid boys’ denim styles under $30, with two styles as low as $12.73 (with additional coupons excluded from those two). You need to know that there are, however, jeans as low as $17.99 that are eligible for additional promotions. I don’t know why there are always so many for options for females than there are for males, but there are still plenty of styles for the younger guys in your house. 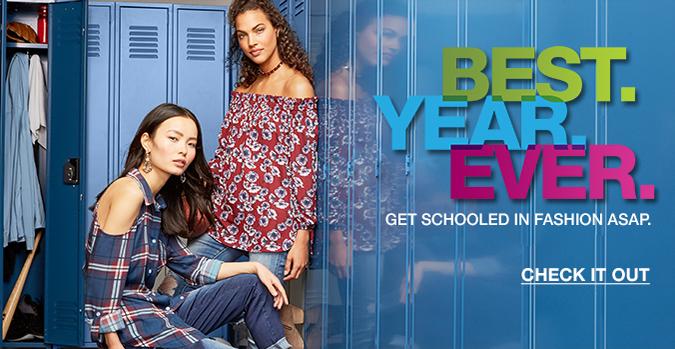 Now that you know where to buy back to school denim for under $30, your kids are certain to have their best school year ever!